Garden upkeep is a lot of work. It requires lots of sacrifices and time. 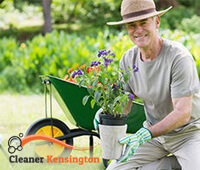 Understandably, many homeowners are not prepared to take care of their gardens, which is why they hire our gardeners in Kensington. With our help, property owners manage to keep beautiful and presentable gardens all year long. 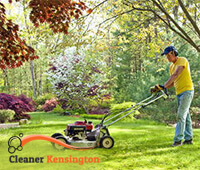 We specialise in lawn care, general garden maintenance and other big and small garden jobs. And we work with enthusiasm. Our gardeners are not only skilled, but also creative. They will breathe new life into your outdoor area in no time. Make sure to get in touch with us. All our gardeners have been picked carefully. We provide regular training courses to improve their abilities. We use our own gardening equipment. Our service spans across Kensington. A dying garden can ruin the overall look of your home. Rather than brining tranquillity, it makes you want to walk away as soon as possible. Neglected gardens are an eyesore, but yours doesn’t have to be that way. You deserve to have the garden of your dreams. Our gardening service can help you fix the problem in no time. We will turn it from a barren place to an oasis full of blooms, grass, trees and life. We will keep your lawn cut, your trees pruned, your hedges trimmed and your plants in good condition. We will get rid of weeds that seem to choke your plants and flowers. Once you start using our service, there is no need to do anything about your garden. We have it all covered. Our gardeners work around Kensington and several other districts. We do our best to keep gardens in best shape. If you want to know more about our service, check us out by phone. Dial this number and speak to our representatives right away. Don’t miss out on the chance to hire our gardeners. You will never be disappointed by the end result.